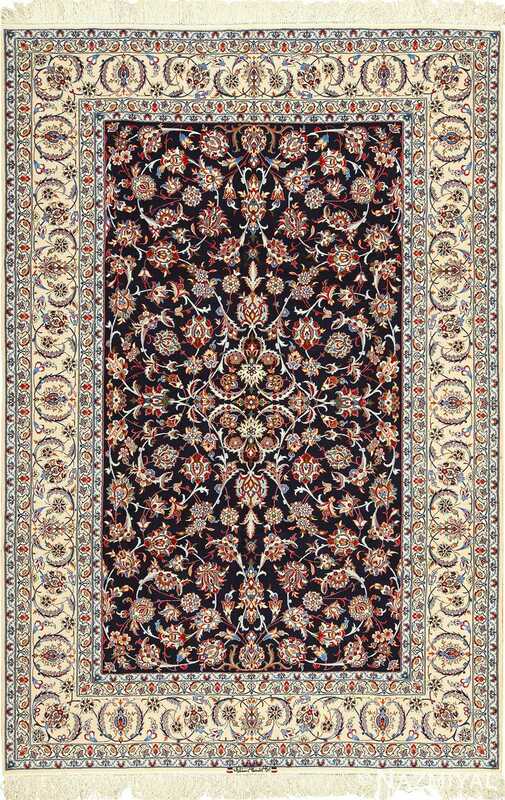 Intricate and Beautiful Dark Background Vintage Isfahan Persian Rug 51115, Knots Per Square Inch KPSI: 550, Country of Origin / Rug Type: Vintage Persian Rug, Circa Date: Late 20th Century - Attractive curls and blossoms spread over the stark black background of this Persian rug, elegant with vintage styling. 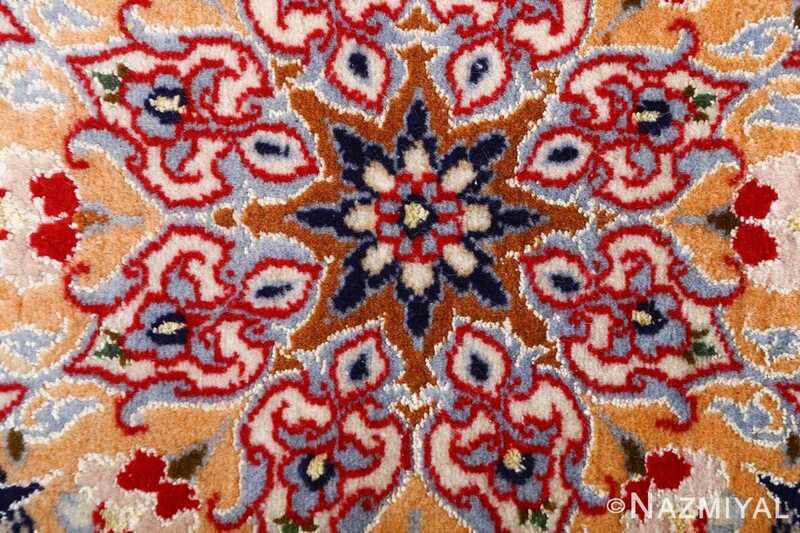 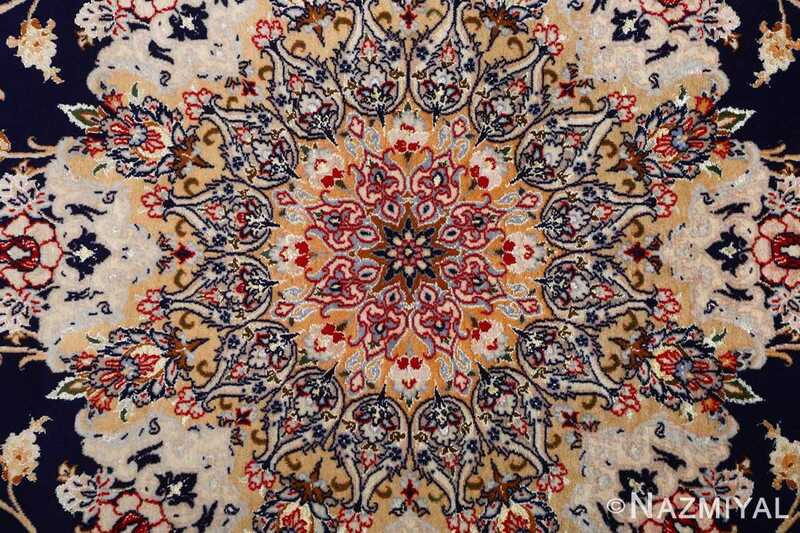 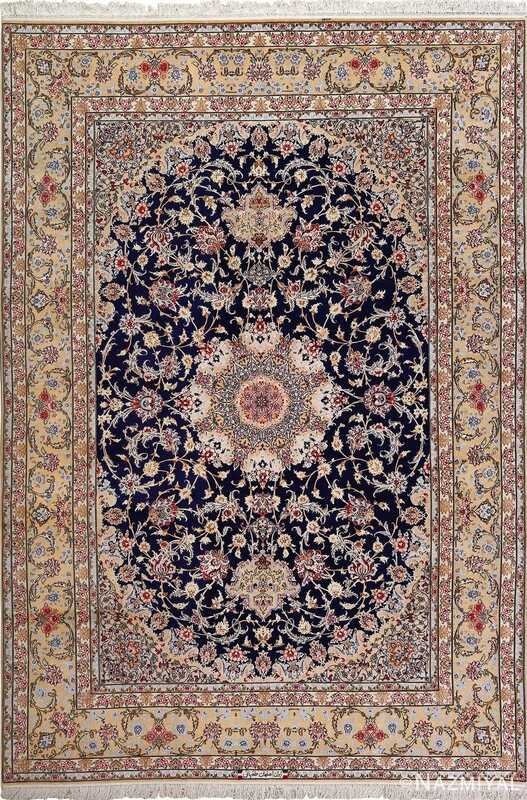 The centerpiece of this beautiful vintage Persian rug is an unfurling mandala, stunning with detail in each minute petal. 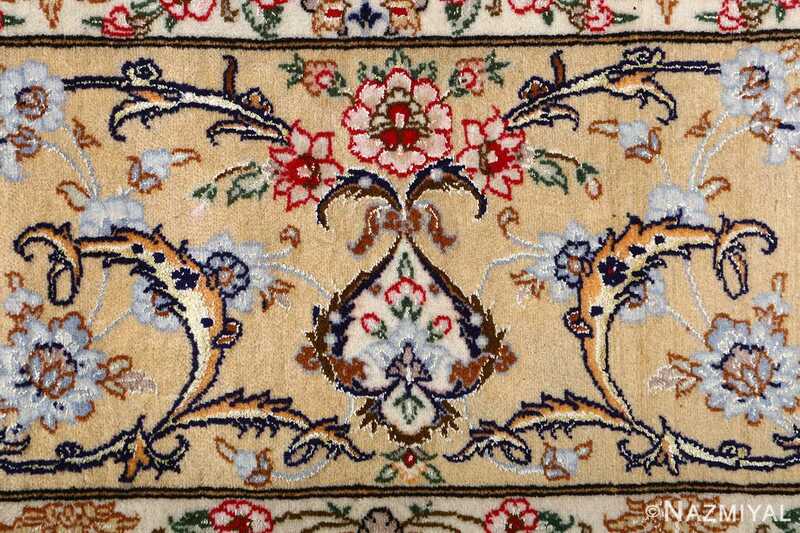 Blooms with flame-like figures surround the medallion in the center, linked by the swoops of leafy vines. Scalloped, golden corners shape the dark field of this Oriental rug into an oval, curving lines forming a flower resting in each light area. 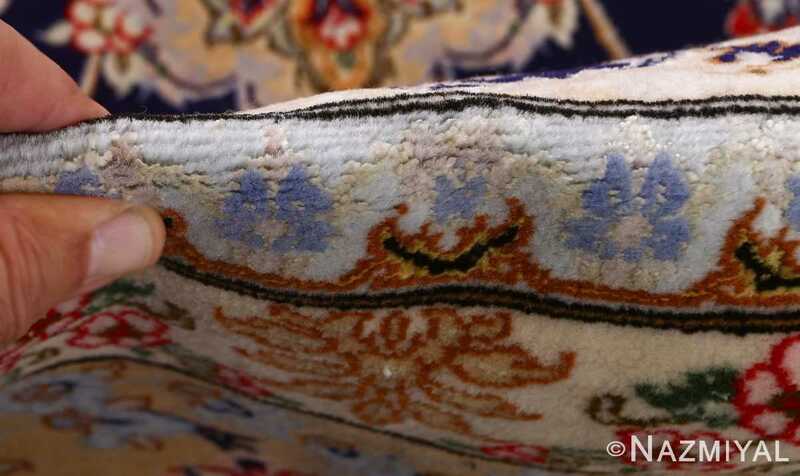 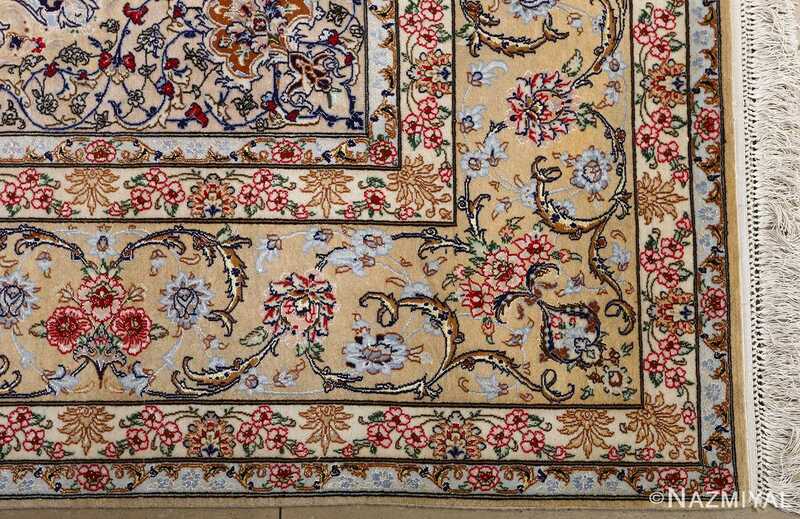 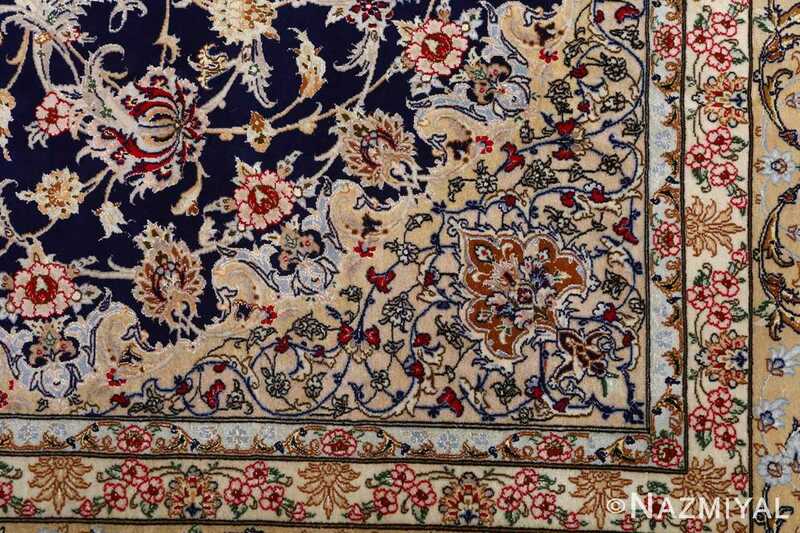 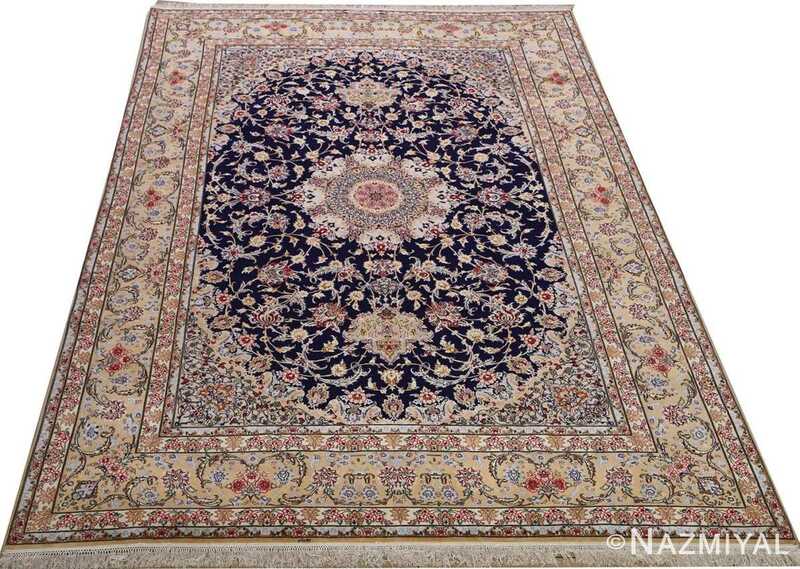 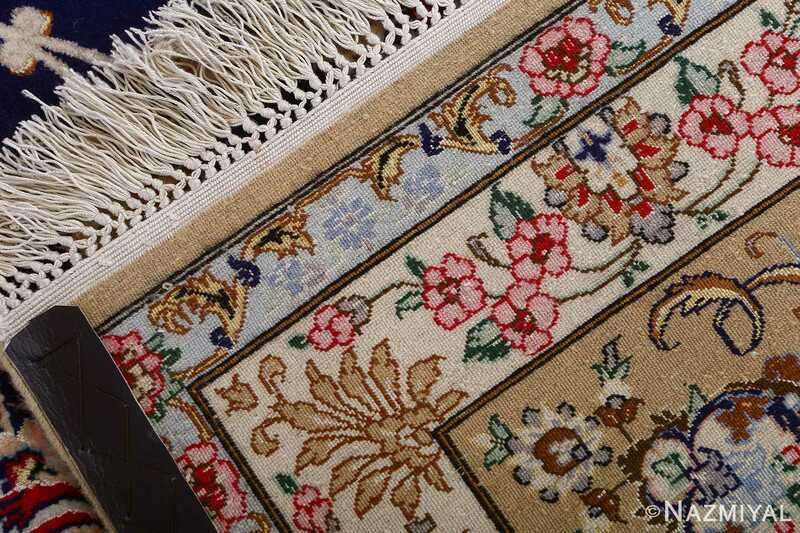 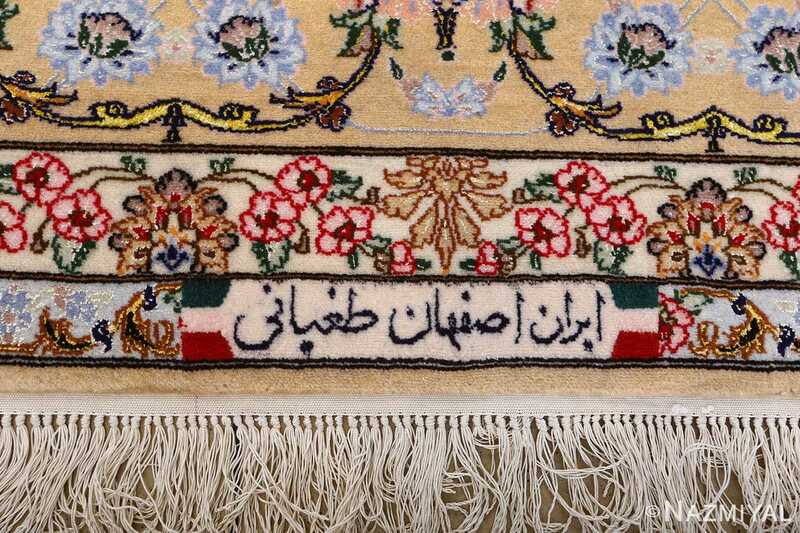 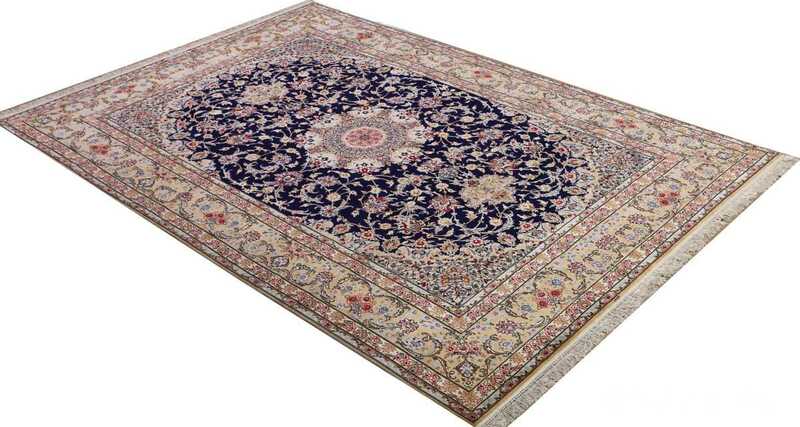 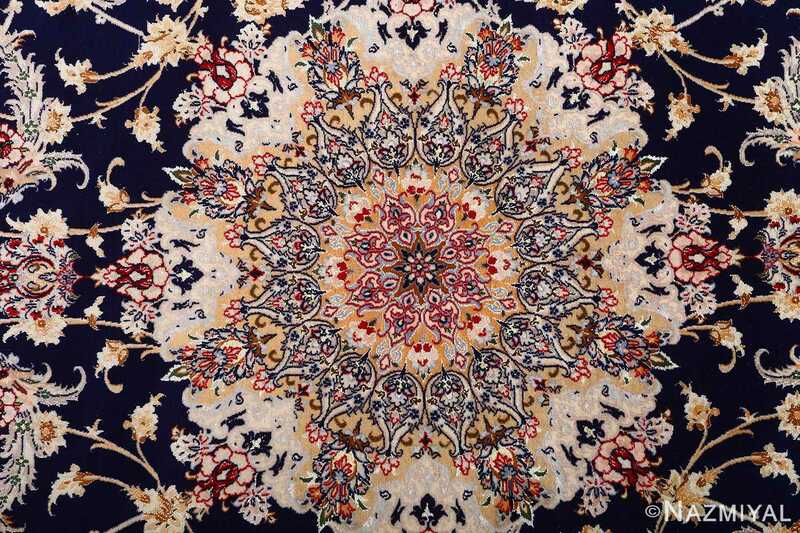 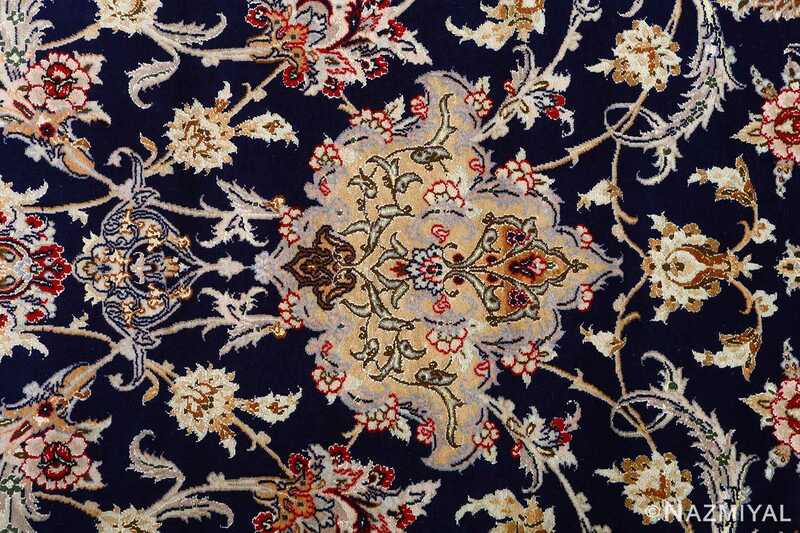 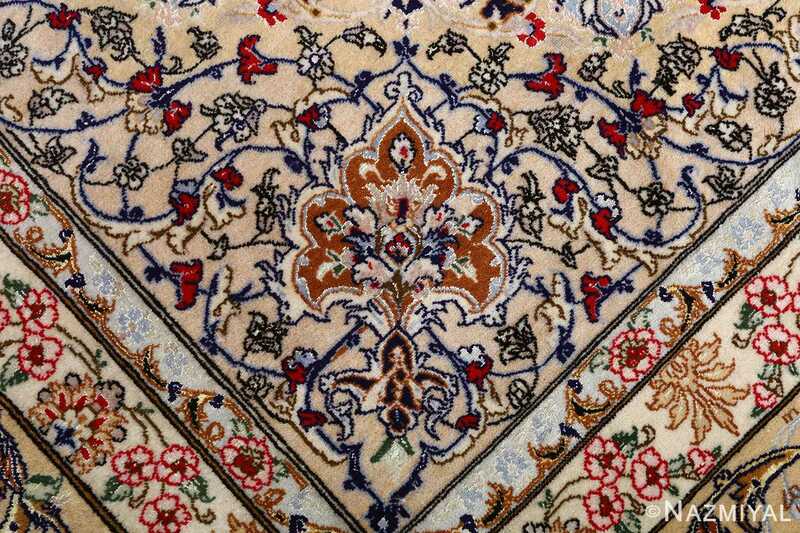 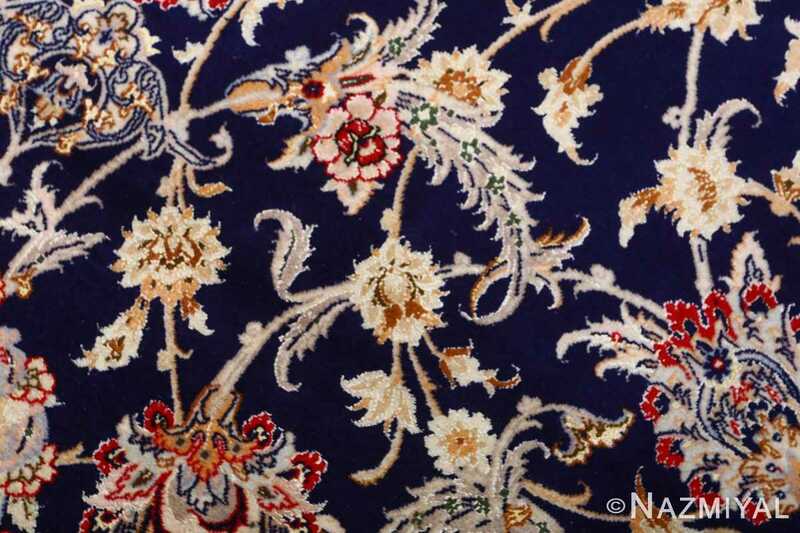 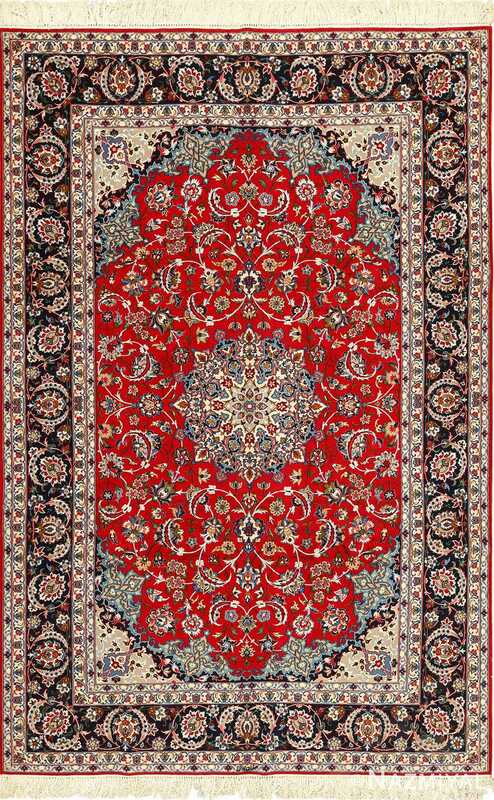 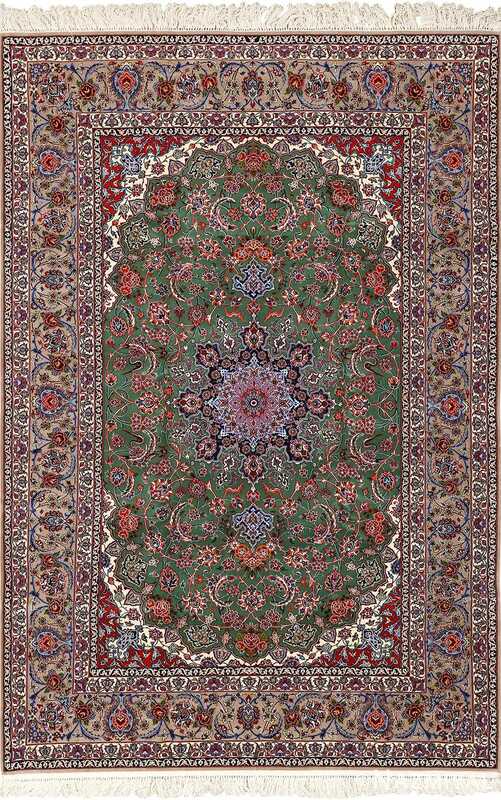 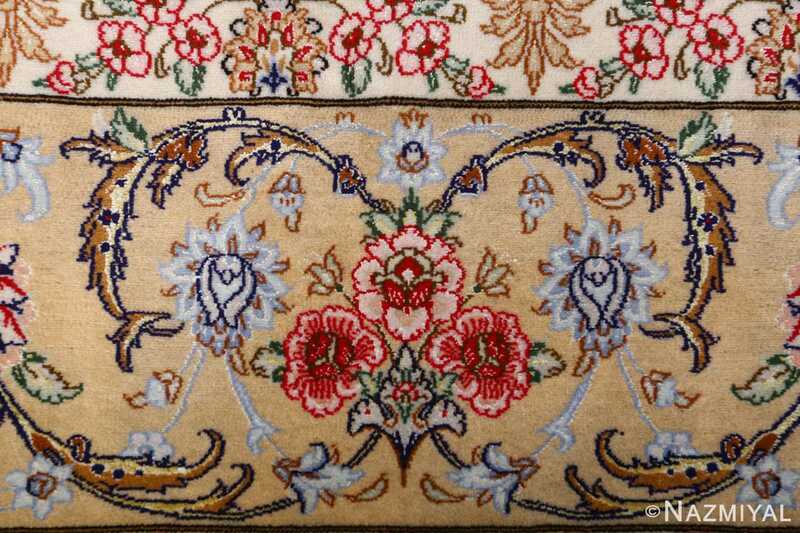 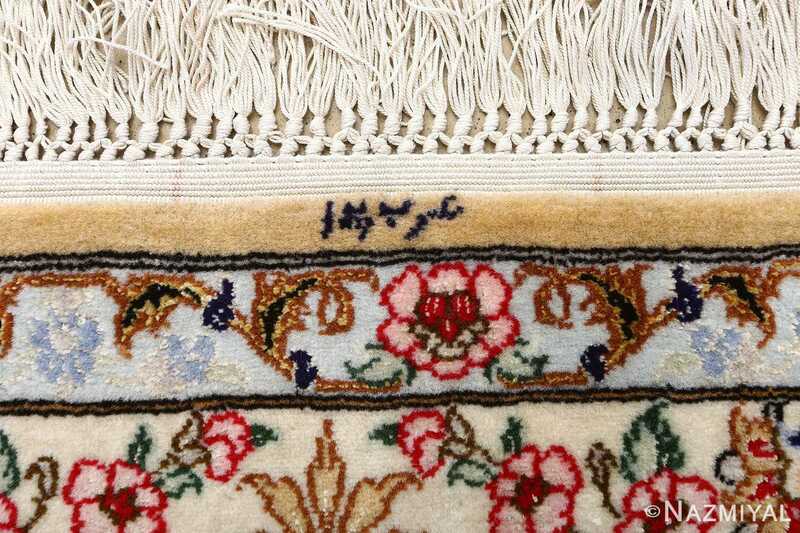 A series of decorative borders completes the vintage Isfahan rug, the outer narrow bands rich in tones of platinum and silver with colorful blossoms on winding stems, bracing a golden width of botanical sigils.